We believe in the value of a strong and reliable network. In many ways, the network is the backbone of your organization's IT assetts and as our world becomes increasingly connected and dependent on information served via the internet, the data load placed on the backbone of our computing systems is increasing as well. Unreliable hardware and faulty network designs are the #1 cause for downtime on today's networks. Just two hours of downtime can leave an obvious crater in most bottom lines. While the reliability of the network is most always the primary focus and objective, many times the failure to consider a network's limitations may be overlooked requiring premature replacement due to hardware or service obsolescence. A well designed network is one including considerations for all aspects of the infrastructure such as building limitations, transmission media (cabling), scalabillity, administration, security, and of course...cost. PC Avenues builds, maintains, and offers scalibility solutions for small and medium size organizations. Whether the network consists of four computers sharing a dsl internet connection or a corporate network consisting of hundreds of computers and application servers, we are here to help. 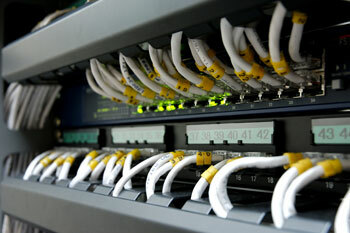 Contact us for a free computer networking service estimate.